To use a yoyo, right click it and it will throw out. While out, the yoyo will follow where you look and do damage to anything it touches. Right click again to pull it back in. If you get too far away from a yoyo, you will be pulled towards it. Yoyos need 4 of the desired material, a stick, and a chord to craft a yoyo. The cords are crafted with 8 string in a circle. 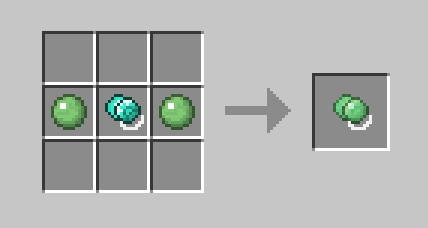 At the cost of damage, you can combine a diamond yoyo with some sticky slimeballs to allow your toy to stick to blocks. Could be useful for getting around, considering you can pull yourself in towards the yoyo once it's stuck. 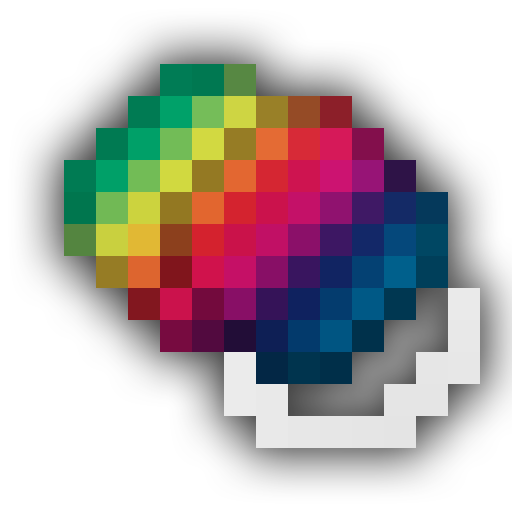 I've included an in-game guide book for everything tinkers' yoyos. It has information about all of the modifiers, as well as stats for every material you can use to craft your yoyos. If you want to have a read, you just need to combine your trusty Materials and You with a yoyo cord. The yoyo is made in the tool forge using an axle, two bodies, and a cord. The different parts are crafted as usual in a part builder or by casting. The cord determines how far away from you the yoyo gets. The bodies determine the damage and movement speed. The axle has a durability multiplier. Both the cord and axle have friction, which determines how long the yoyo can stay out. Gives the behavior of the shear yoyo to any tinkers' yoyo. Each level lengthens the yoyo's cord by 2 blocks. Requires 16 string per level. Can be applied with string. Can be applied with a Cord, counting as 8 string. Makes the yoyo lighter, allowing it to move faster. Allows the yoyo to spin for longer, increasing it's duration. If you think something is too overpowered, underpowered, or broken in general, please, let me know. Balancing is hard to do without any testers. If you find any bugs, please report them on GitHub. Feel free to use this in any modpack you might be developing. I can install this mod without Tin. Cons.? Amazing mod, been looking for a good weapon thats actually interesting, so thank you! 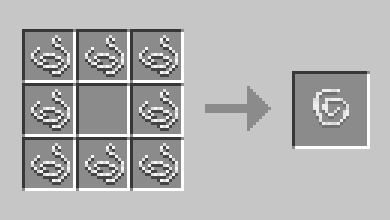 The one request I have would be support for the Pewter mod (its an addon for tinkers that adds support for other mods, so yeah a little bit of inception there). Anyway thank you for this wonderful mod! 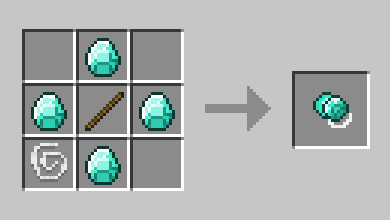 I think you should add more modifiers, like an Arrow, which increases the yoyo's speed, a Piston, which increases it's knockback, or a Fish, which increases it's effectiveness underwater. Sorry if I am being dumb, but how do you reel it in if you have a slime part? I am using a TC yoyo. Small complaints: the sticky yoyo connects at full length. All too often I'd throw the yoyo, have it stick, then die to fall damage because of the extra length of string XD Also, the reeling is a bit slow in general. I also find that the tinker's yoyo does very little damage, it's mostly an utility tool (grapple+ranged shear+zelda boomerang) though a stuck yoyo deals damage to mobs walking over it for some reason. Those aside, this is very innovative! Thank you for the suggestions and kind words! I'll get the sticky yoyo fixed right away. Heyo, saw this mod online and I would like to see this mod for minecraft 1.7.10 since I have a personal modpack I would love to use this mod with but since the mod is 1.10+ i can't use it for my 1.7.10 modpack. 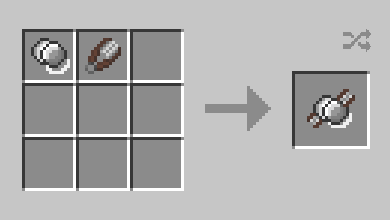 Anyways keep up the good work and maybe you can add integrations for custom tinkers materials like magical wood from extra utility's for example. 1.7 is almost 3 years old... please update. Maybe unintentional, but if you hit mobs with Yoyo's in melee, you basically attack them like with a sword, even swipe attack works. It's a really nice and useful mod, I love it. Yoyos should display in normal TinkersConstruct book, and not have their own book, it doesn't fit well to TCon, it kinda breaks the progression. There should have a support for any other materials that are added to TCon. Originally, I wanted to integrate the yoyo book with the original TiCon book, but unfortunately I could not find a way to do it. The way the book works internally makes it easier to just add another. I'm on your side, but I wouldn't say it breaks progression. I'm not 100% sure what you want me to do with the shear yoyo. Are you suggesting I simply make it craftable with every type of ingot, instead of with just shears? I don't see how that would make sense, but I appreciate the feedback. Yeah it's what I asked, shear yoy should be able to shear leaves too. You could maybe add other yoyo tools like pickaxe, shovel, axe, sword. You should maybe look mods like PlusTic or Tinkers Defense which add new tools to TConstruct. I'm not going to do that. I don't see how that would make sense. At best I could add support for other mods' shears. Also, the shear yoyo does shear leaves, it even shears sheep and mooshrooms. If you're not playing on the latest version, then it might not, however. I have considered adding all the other tools, but I'm afraid that could be too powerful. If I ever get around to it and decide to release it, I'll be sure to let you know.